Like father. Like son. Like hell! Bruce Willis is back in action - mind-blowing, heart-stopping, rip-roaring action - as John McClane, the heroic New York cop with a knack for being in the wrong place at the right time. John's latest predicament takes him all the way to Russia to track down his estranged son, Jack (Jai Courtney), who has been imprisoned in Moscow. But the mission takes a deadly turn as father and son must join forces to thwart a nuclear weapons heist that could trigger World War III! $24.834 million on 3553 screens. 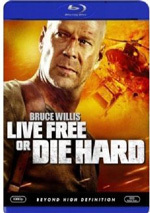 After a 12-year break, the Die Hard franchise returned in 2007 with Live Free or Die Hard. While it didn’t make anyone forget the iconic 1988 original, it offered some good action and did reasonably well at the box office. A little less than six years later, the series came back with its fifth chapter, 2013’s A Good Day to Die Hard. While this one didn’t bomb, its US gross of $67 million made it by far the weakest-performing entry in the franchise. Actually, the original film only took in $83 million, but given how much ticket prices have risen in the last 25 years, I think it’s safe to say that it fared much better than Good Day. Despite the lackluster grosses, I hope we get a sixth Die Hard. 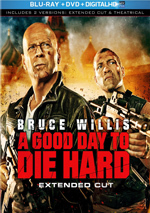 I’d hate for such an entertaining franchise to end on such a sour note, as Good Day gives us a thoroughly awful movie not fit to wear the Die Hard name. We open in Moscow, where crooked government official Viktor Chagarin (Sergei Kolesnikov) frames whistle-blower Yuri Komarov (Sebastian Koch) to ensure that some damning evidence doesn’t see the light of day. In the meantime, Jack McClane (Jai Courtney) shoots a Russian mobster and ends up in jail next to Komarov. 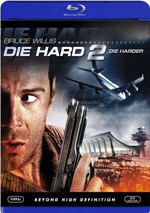 When his father John (Bruce Willis) learns of this, he flies to Russia to help out his estranged son. It turns out that Jack committed his crime just to put himself in position to break Komarov out of jail. As John soon learns, Jack belongs to the CIA, and he wants to protect Komarov and the information he possesses. Of course, this becomes tough to achieve, as a variety of baddies seek to recapture Komarov. We follow Jack as he tries to hold onto Komarov – and also watch how his dad assists in the cause. As I write this, more than half of 2013 remains, but I feel confident Good Day will be the biggest disappointment of the year. I like all of the first four movies; even though two through four have flaws, they're fun. < There's almost no pleasure to be found in Good Day, as it's random, incoherent and pointless. John McClane becomes a buffoon with no purpose; he bears no resemblance to the character in the first four. The son seems to exist as a potential springboard to a spinoff; he adds nothing interesting to the series and actually distracts, as he takes the lead too much of the time. I'm fine with "McClane sidekicks", but this time, it's John himself who feels like the secondary character. Jack comes to the fore too frequently and John usually seems superfluous. He blunders along with little purpose or positive influence. No one wants to see a Die Hard movie that diminishes John McClane. Does the plot make the slightest amount of sense to anyone else? I couldn't name any of the non-McClane characters on a bet because they don't matter. They exist to motivate a series of loud, unengaging action scenes, none of which excite. Stuff blows up good but who cares? It all acts within a vacuum of its own idiocy, so the pyrotechnics have no impact. They just look stupid and random. The absurdly hyperactive visuals don’t help. When I watched the credits, I expected to see “Jojo the Epileptic Monkey” listed as Director of Photography, for the movie’s camerawork jumps and jolts and skitters. We zoom in! We zoom out! We skip, flip and flop! Sigh. I never thought I'd openly hate a Die Hard movie, but Good Day achieves that ignominy. I thought the witless Identity Thief would go down as the worst movie I saw in February, but I was wrong. While that movie was completely moronic, at least I chuckled a couple of times. Good Day lacks even the most minor pleasures - it's crap from start to finish. A Good Day to Die Hard appears in an aspect ratio of approximately 1.85:1 on this Blu-ray Disc. Though not always an attractive image, the Blu-ray replicated the source well. Sharpness seemed strong. Virtually no instances of softness materialized, as the movie seemed concise and accurate. Shimmering and jagged edges remained absent, and I witnessed no edge haloes. Print flaws failed to appear, but the movie offered a lot more grain than usual – what felt like “self-conscious” grain, honestly, as it came across as though the filmmakers intentionally gave the movie a grainier than necessary look. In a Hollywood dominated by orange and teal, Good Day might be the orange-and-tealest of them all. Those colorings became nearly comical in their extreme use throughout the film. While I didn’t like those choices, I couldn’t criticize their reproduction, as the Blu-ray made them just as orange-and-teal as they needed to be. Blacks looked deep and taut, and shadows showed good clarity; low-light shots could be a bit dense due to the film’s high-contrast style, but they were more than acceptable. I made this a “B+” more due to visual choices – the teal/orange, the excessive grain, etc. – but I still thought it reproduced the original movie in a satisfying manner. No complaints – relative or otherwise – accompanied the excellent DTS-HD MA 7.1 soundtrack of Good Day. With tons of action, the soundscape often opened up in a dynamic manner and used all the channels to great advantage. Various vehicles – trucks, cars, helicopters, jets – zoomed around the room and offered precise, involving movement. This was an immersive mix that excelled at all times. No real issues with audio quality emerged. A couple of louder lines showed mild edginess, but the vast majority of the speech remained natural and distinctive. Music was bold and dynamic, and effects killed. Those elements were expressive and impactful, as they showed fine definition and power. If you shelled out big bucks for a home theater, you did so for soundtracks like this. The Blu-ray provides both the film’s Theatrical Version (1:37:39) and an Extended Cut (1:41:11). With the extra three and a half minutes, we see a fair number of very brief additions in the “a second here, a second there” category. A few others last in the 10-15 second range but add little; for instance, when Jack and John drive up to a location, we track them for a bit more time. Those are perplexing additions because they provide no obvious boost to the story; they just seem to fill time. We also get a smidgen more graphic violence, such as when Jack kills the guy at the start. This turns into a “head shot” rather than the original wound in the chest. I prefer the original scene because it keeps Jack from becoming a killer; it seems extreme to show him murder someone in cold blood just to go to prison. In terms of more major changes, the Moscow vehicle chase goes considerably longer in the Extended Cut. Also, we see an elongated scene in which John and Jack discuss their relationship. That’s probably one of the better changes, as it adds some context to the lead characters’ shared past. Do I have a preference for Theatrical or Extended? Not really. I dislike the Theatrical and think the changes for the Extended didn’t fix those problems. I admit I prefer the longer Moscow chase and enjoy the father/son bonding, but I miss Lucy and most of the short additions just slow down the pacing. Whether you pick Theatrical or Extended, you end up with a poor film; don’t expect the Extended to solve the Theatrical’s issues. Alongside the Extended Cut, we get an audio commentary from director John Moore and first AD Mark Cotone. Both sit together for this running, screen-specific look at story/characters, sets and locations, stunts and action, props and vehicles, cast and performances, various effects, camerawork, and other filmmaking issues. Moore and Cotone deliver a commentary more entertaining than the film itself. Since the movie stinks, that might sound like faint praise, but I do enjoy this engaging chat. They offer good facts about the production along with many funny asides in this likable little track. One surprise about the commentary: although Moore and Cotone occasionally refer to changes made for the Extended Cut, they never tell us why Lucy disappeared from it. This subject never arises anywhere else on the Blu-ray, which seems strange; Lucy’s omission from the Extended Cut offers a major alteration from the Theatrical and you’d think someone would discuss it. Seven Deleted Scenes run a total of 14 minutes, 28 seconds. We find “Jack Scopes Out Courthouse” (1:05), “Collins Gets Approval to Move” (2:04), “John McClane Original Introduction” (1:19), “Russian Girls on Plane” (0:57), “Safe House Intrusion” (1:55), “Gun Store” (3:35) and “Fight With Anton” (3:33). “Scopes” and “Intrusion” offer padding; they don’t add to the story in a compelling manner. Neither does “Plane”, but at least it offers a little decent comedy, and similar thoughts greet “Store”, which allows a little more interaction between John and Jack. “Introduction” and “Collins” provide a bit of exposition; I can figure out that “Collins” got the boot because it lacks any of the main characters, but it would’ve helped make the murky plot clearer. Finally, “Fight” expands a sequence in which Jack and John find weapons; it’s a bit more comic relief. (It only could fit into the Theatrical Version, as “Anton” is the character Jack kills in the Extended one; he merely wounds “Anton” in the Theatrical.) I doubt any of these would’ve helped the movie, but most are reasonably interesting to see. Maximum McClane goes for three minutes, 16 seconds. 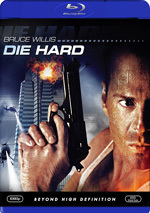 This offers a montage of snippets from all five Die Hard movies, with an emphasis on action. It’s a fun little compilation. Under Making It Hard to Die, we get a collection of featurettes that add up to a total of one hours, 22 seconds of material. In these, we hear from Moore, Cotone, boom operators Dylan Voigt and Szabolcs Stella, co-producer Peter Veverka, “A” camera dolly grip David Appleby, 2nd AD Bogi Moricz, director of photography Jonathan Sela, editor Dan Zimmerman, stunt coordinator Steve Davison, “A” camera operator Des Whelan, special effects supervisor Gerd Nefzer, stuntman Jeffrey J. Dashnaw, production designer Daniel T. Dorrance, key 2nd AD Yumiko Takeya, producers Alex Young and Wyck Godfrey, executive producer Jason Keller, 2nd AD Sean Guest, production sound mixer Ian Voigt, Eclipse technician Eric Dvorsky, visual effects supervisor Everett Burrell, production supervisor Luca Bercovici, picture helicopter consultant Zsolt Szakal, Captain instructor examiner Vladimir Kabanov, set production assistant Julia Hargitay, additional stunt coordinator Greg Harris, visual effects coordinator Vanessa Joyce, SPFX Basic and CAD Design Carsten Woithe, master armourer Michael Papac, assistant armourer Sasha Robey, Mid Atlantic Productions Adam Goodman, concept artist Chris Rosewarne, “A” camera first assistant Julian Bucknall, 1st assistant editor PJ Burch, visual effects supervisor Sean Faden, makeup and hair supervisor Gerald Quist, compositing supervisor Robin Graham, composer Marco Beltrami, and actors Jai Courtney, Rasha Bukvic, Bruce Willis, Martin “Mako” Hindy, Attila Arpa, Yulia Snigir, and Sebastian Koch. The segments cover stunts and action, camerawork, editing, sound and various effects, vehicles and weapons, sets and locations, visual design, and music. The clips mix interview segments with behind the scenes footage in a satisfying manner, so they give us a fairly nice overview of the production. Four featurettes follow. We find Anatomy of a Car Chase (26:12), Two of a Kind (8:00), Back in Action (7:06), and The New Face of Evil (6:57). Across these, we locate notes from Moore, Young, Godfrey, Whelan, Courtney, Guest, Bukvic, Davison, Veverka, Burrell, Dorrance, Koch, Rogan, Zimmerman, Willis, Snigir, picture vehicle coordinator Peter King, 2nd unit director Jonathan Taylor, MRAP supervisor Grant Rogan, workshop/floor supervisor Kevin Fisher, and actor Mary Elizabeth Winstead. These examine stunts, action and vehicles, visual style and camerawork, story/character areas, effects, cast and performances. Of the four featurettes, “Anatomy” definitely offers the most useful material. The other three have their moments but tend to feel more promotional in tone; they’re decent but not especially informative. Next we get a collection of Pre-Vis elements. These fill a total of 11 minutes, 36 seconds and cover three scenes: “Cold Opening”, “Desert Heist” and “Truck Chase”. We get to check out the planning for the various sequences in this enjoyable extra. More behind the scenes material arrives within VFX Sequences. We see 16 of these, with a total run time of five minutes, 35 seconds. The snippets show different sequences at various levels of effects completion, so we can compare before and after shots. It turns into a fun way to see the effects work done on the film. Storyboards appear for five scenes. In total, we see 82 screens of art for a total of 246 drawings. The Blu-ray makes these user-friendly and they can be an enjoyable way to examine the planning material. In addition to two trailers, the disc provides a Concept Art Gallery. Its 126 images are simply beautiful to watch, especially in contrast with the simplistic storyboards. A second disc delivers a DVD Copy of Good Day. This includes only the Theatrical Cut of the film and lacks any extras. After four good to great films, the venerable Die Hard franchise crashes with the execrable A Good Day to Die Hard. Problematic in almost every possible way, the movie lacks even the most basic entertainment value and totally craps on the series. The Blu-ray delivers very good picture and bonus materials as well as awesome audio. Everything about this release excels except for the awful movie itself.